I started climbing while in my teens in Estes Park, Colorado. I started to really get hooked in my early twenties and by age 24, I was guiding folks up rock faces and in the mountains. 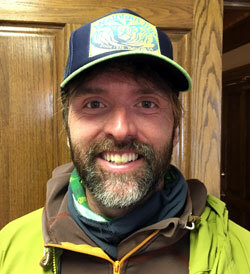 Over the past twelve years I’ve guided climbing from Arizona to Alaska. One of my true loves is climbing frozen waterfalls in the San Juan Mountains of Colorado, and I also spend a lot of my time climbing the desert rock of the Southwest. I’m working on pursuing an AMGA certification track and have thus far taken my Rock Guide Aspirant course and held an AMGA Single Pitch Instructor certification. I love watching people complete their goals in climbing just as much as achieving my own!